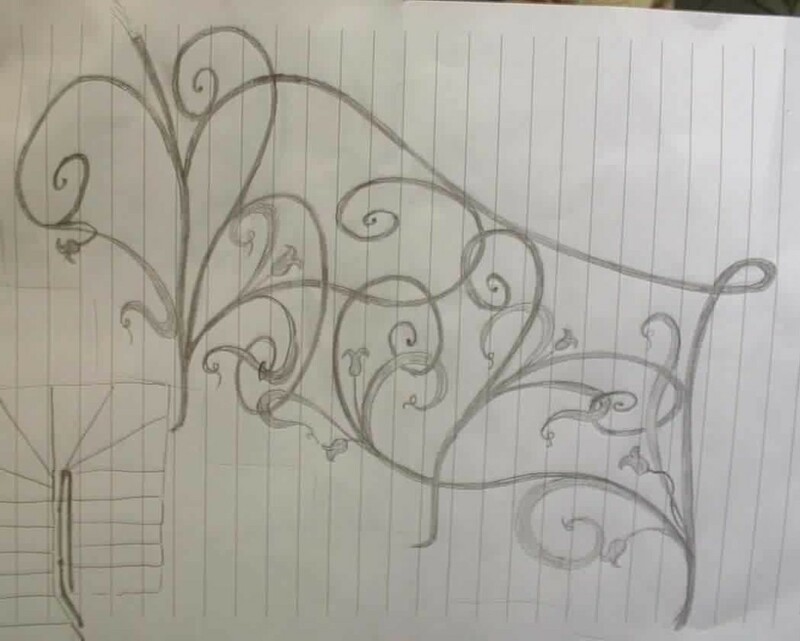 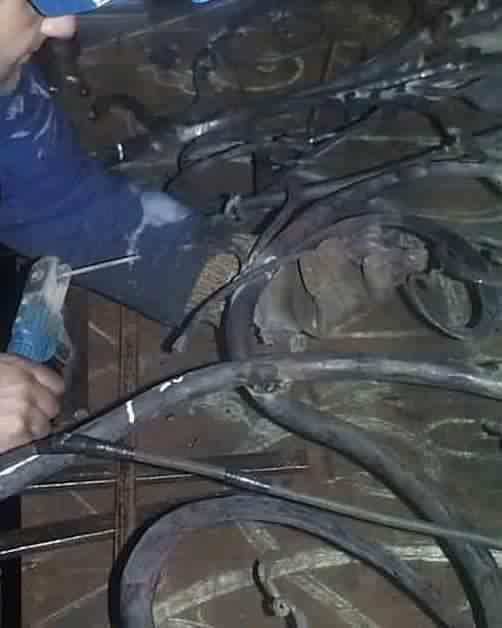 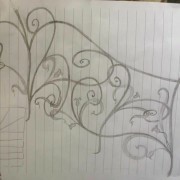 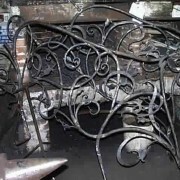 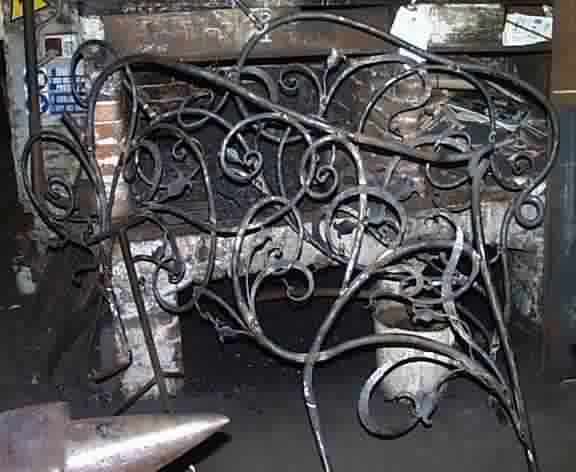 We start from sketch of a railing with a fantasy design, with curls and floral decorations. 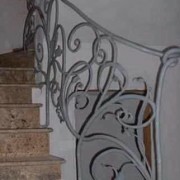 The implementation refers to the railing up two flights of stairs, and particularly where the continuation of the pattern drawn connected by a ramp to another. 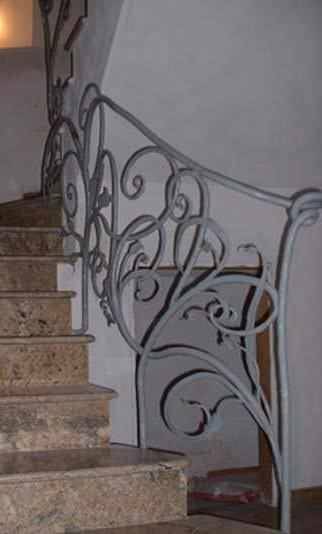 We begin with the pillar of departure, which must shape slightly open to follow the trend of the steps. 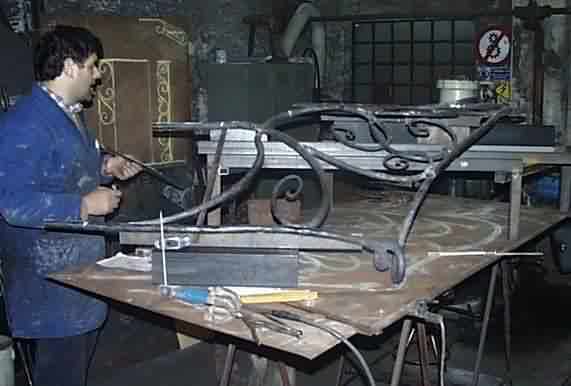 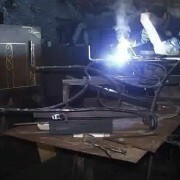 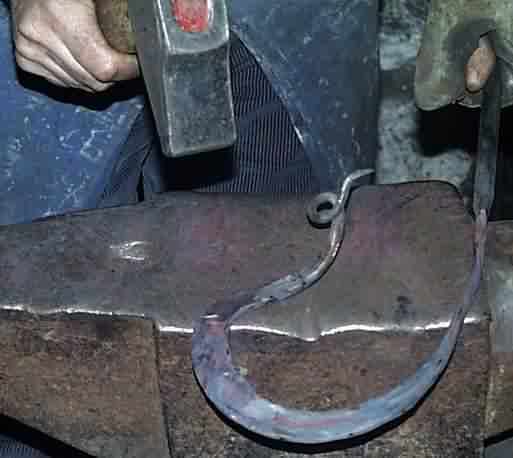 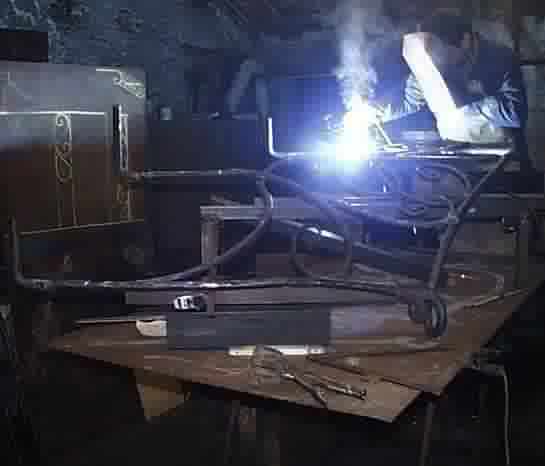 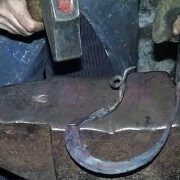 We pass to main curl that will serve as a basic structure around which will develop the decoration. 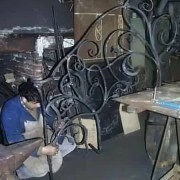 To meet the particular opening of the angle of the steps, build a small scaffolding that reproduces this angle on the counter, and allows us to assemble the scrolls with the necessary curvature. 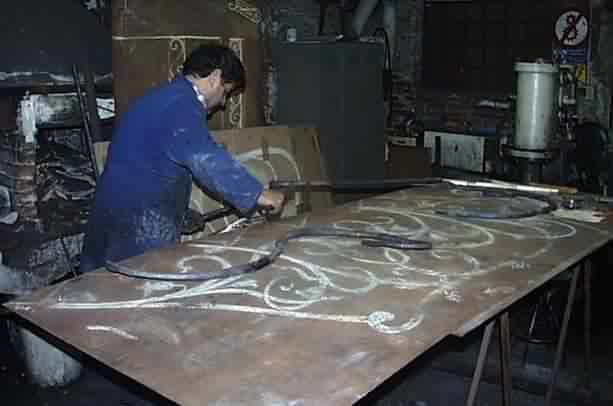 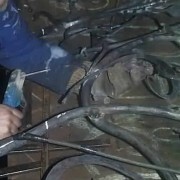 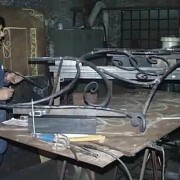 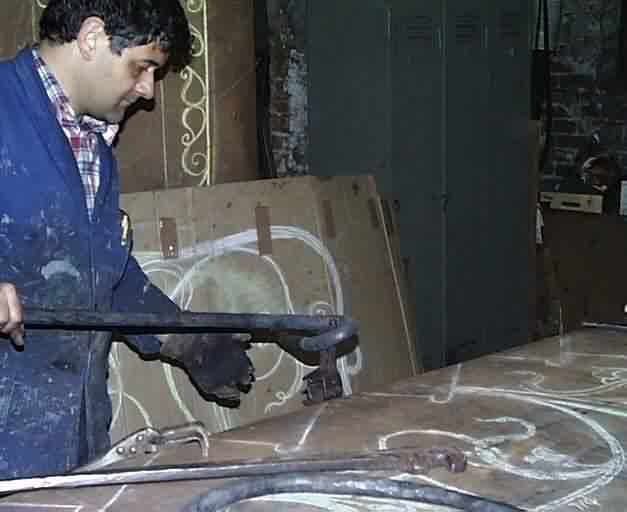 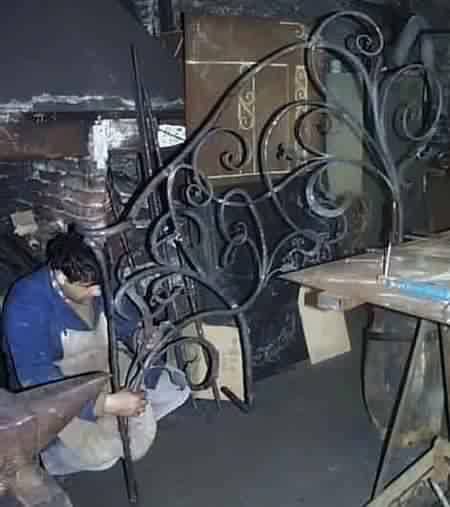 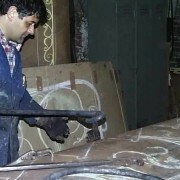 We forge the leaves and flowers that will decorate scrolls Then assemble the decorations, following the outline of the sketch and evaluating the overall figure.